COLUMBUS CIRCLE, Manhattan (WABC) -- Online retail giant Amazon is opening its first brick-and-mortar bookstore in New York City this year. A spokeswoman for the company confirmed the details Thursday. "We are excited to be bringing Amazon Books to The Shops at Columbus Circle, Time Warner Center in New York City in 2017," Deborah Bass with Amazon said. Eyewitness News has learned that the store will be 4,000 square feet and is expected to open in the spring. 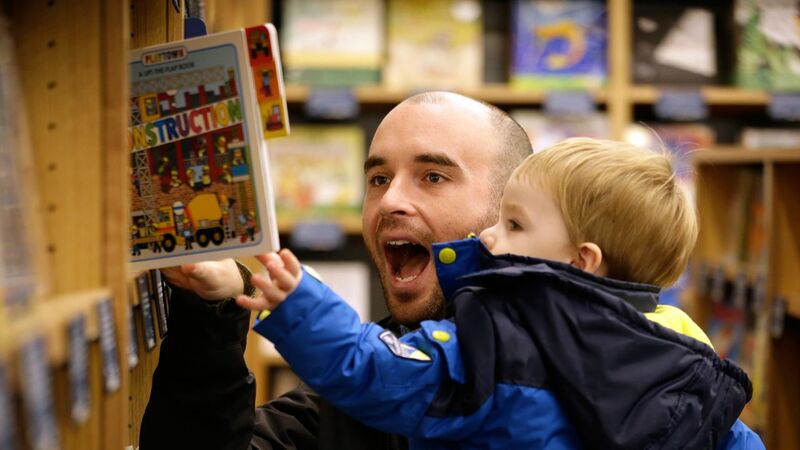 Customers browse books at the opening day for Amazon Books, the first brick-and-mortar retail store for online retail giant Amazon, Tuesday, Nov. 3, 2015, in Seattle. 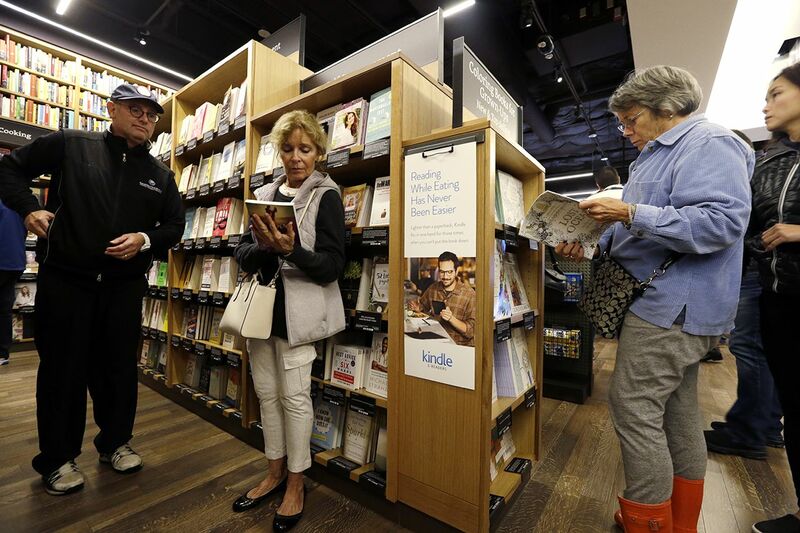 Amazon has opened bookstores in San Diego, California; Portland, Oregon; and Seattle, Washington. It also plans to open stores in Chicago, Illinois, and Dedham, Massachusetts. Amazon Books stores carry books and devices that allow digital reading, such as the company's Kindle. Amazon said prices for items in the physical store match up with online prices, including special pricing for subscribers of its Prime service.